One of the most popular data mining areas, which estimate future trends of data, is classification. This research is dedicated to predict Iranian passenger train delay with high accuracy over Iranian railway network. A hybrid method based on neuro-fuzzy inference system and Two-step clustering is used for this purpose. The results indicate that the hybrid method is superior over the other common classification methods. The result can be used by train dispatcher to accurate schedule trains to diminish train delay average. Delay propagation can impact consequence of train delay in the railway network. Accurate predicting of train delay can help dispatcher in effective timetable. 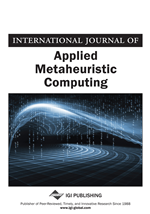 The main idea of this paper is to present a classification method by hybriding Adaptive Neuro Fuzzy Inference System (ANFIS) and Two-step clustering to predict Iranian passenger train delay. Artificial Neural Net (ANNs) and Fuzzy Inference System (FISs) have some fault solely which combination of them (neuro-fuzzy systems) has been populared as a powerful alternative approach to develop adaptive soft computing systems. Nauck and Kruse (1999) discussed advantages and disadvantages of both methods in-depth. Merging the neural network with the fuzzy system has resulted in neuro fuzzy systems which use artificial neural networks (ANNs) theory in order to determine their fuzzy sets and fuzzy rules by processing data samples. A hybrid system termed Adaptive-Network-based fuzzy inference system or Adaptive Neuro-Fuzzy Inference System (ANFIS) is a kind of neuro fuzzy which has been proposed by (Jang, 1992). In ANFIS, the membership function parameters are extracted from a data set that describes the system behavior. The ANFIS learns from the data set and adjusts the system parameters according to a given error criterion (Jang, 1992; Jang, 1993). Among neuro fuzzy methods, ANFIS has high speed of training and the most effective learning algorithm (Jang, 1995). Neuro-fuzzy systems can learn system’s behavior from a sufficiently large data set and automatically generate fuzzy rules and fuzzy sets to a pre-specified accuracy level. Other advantage of this combination is capability of generalization and overcoming the key disadvantages of the FISs, i.e. self-learning inability and lack of generalization capability. Neural network part creates fuzzy logic rules and membership during the period of learning automatically. Even after the learning, neural network continues to modify the membership function and fuzzy rules (Kurtulus, 2010). Nowadays, ANFIS is one of the most efficient methods in modeling and prediction (Nayak et al., 2004; Kermani et al., 2008; Ata & Kocyigit, 2010). ANFIS has been successfully used for many applications such as database management, system designing and water resource forecasting (Silva et al., 1999; Chen et al., 2006; Chang & Chang, 2006; Akil et al., 2007; Özgür, 2006). Another successful implementations area of ANFIS in biomedical is engineering which is reported for classification (Ubeyli & Guler, 2005). The synergism of fuzzy logic systems and neural network has produced a functional system capable of learning high-level thinking and reasoning (Zadeh, 1977). It is an improved tool for determining the behavior of imprecisely defined complex systems. The purpose of a neuro-fuzzy system is to apply neural learning techniques to identify the parameters and/or structure of neuro-fuzzy systems. The fuzzy systems have received the growing attention and interest in bioinformatics applications, decision making studies, pattern recognition, and data analysis (Kissi et al., 2004; Marsala et al., 2000; Ros et al., 2002).